Join the Ted's Team Today! We are looking to the future and want you to join us. Please click here to submit your resume for upcoming opportunities. The original, classic American Grill, founded by mavericks and ignited by the Big Sky Spirit. Commited to doing the right things for our people and our planet. We provide GENUINE HOSPITALITY in every interaction. We have a sense of pride and OWNERSHIP in the business. We are STEADFAST in our commitment to people, product and prosperity. We are a SPIRITED team with passion for what we do. To be a financially prosperous restaurant company by consistently delivering an authentic Big Sky dining experience to our guests and operating as a responsible citizen in our communities. 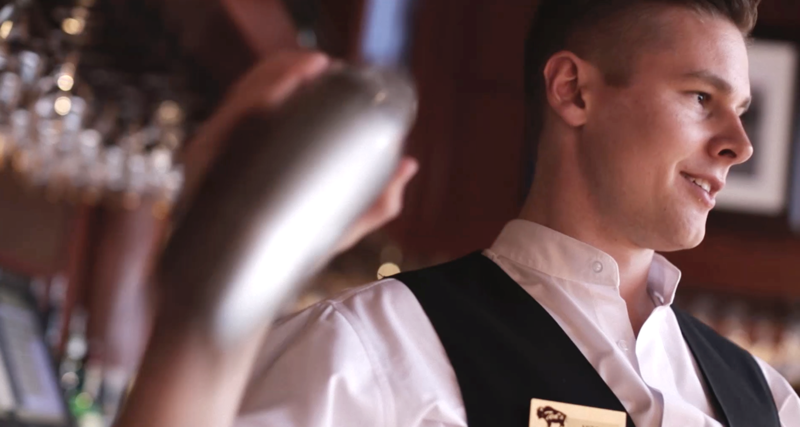 At Ted’s Montana Grill, your compensation and benefits package is designed to mirror the experience you bring to our table and then to reward you for superior performance once you’re here. Hourly training: At Ted’s we want to ensure you have the right training to perform the functions of the job you are in. That is why we operate with a certified training program. This program will allow you to be trained by current team members who are best-in-class in their area(s). Management in Training: Training our future leaders is serious business at Ted's Montana Grill. Our training program is a total of eight weeks. The first seven weeks are spent in a field training restaurant where you will learn both front-of-house and heart-of-house functions. Once you are done with that, you will then go through one week of structured “transition training” in your assigned “home” restaurant. Once out of training, you will then spend one week at the Restaurant Support Center in Atlanta, Ga. at our Ted’s Montana Grill University. We want you to have the chance to meet your support team and learn “Best Practices” to enhance your abilities. We are steadfast in our commitment to people, product and prosperity. 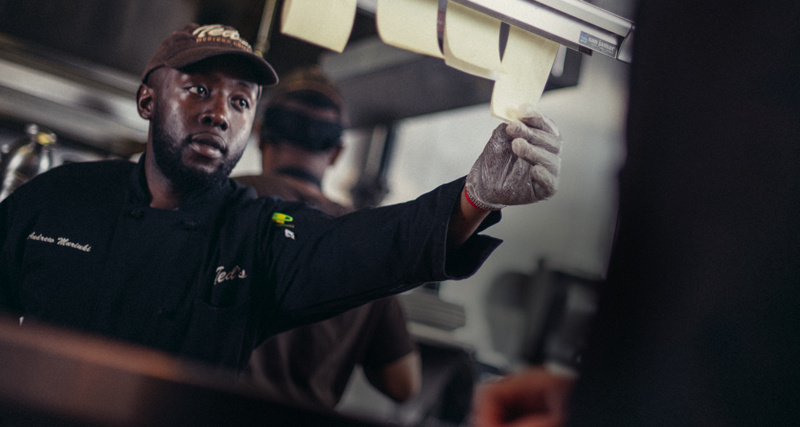 Ted’s Montana Grill develops and encourages people to become leaders and engage the hearts and minds of our teams. We have created the following Management Development Programs to guide your through the Maps to Success. Our Team Lead Program was designed for Certified Trainers ready to take the first step to a management career at Ted’s. The program was recently enhanced with a streamlined schedule that is a light version of our MIT program. The L.E.A.D. Program stands for Leadership, Engagement and Development. It is the pathway to reach the Senior Manager level catering to steadfast leaders with a thirst for development. Senior Managers are graduates of the L.E.A.D. Program. Their continuous development plan is designed to stretch their strong leadership skills allowing them to take more ownership in the business. The Proprietor Transition Program is a guide for new Proprietors to ensure they continue their reputation for upholding high standards and getting great results. It aids in the transition into the role defining clear expectations and foundations for success.